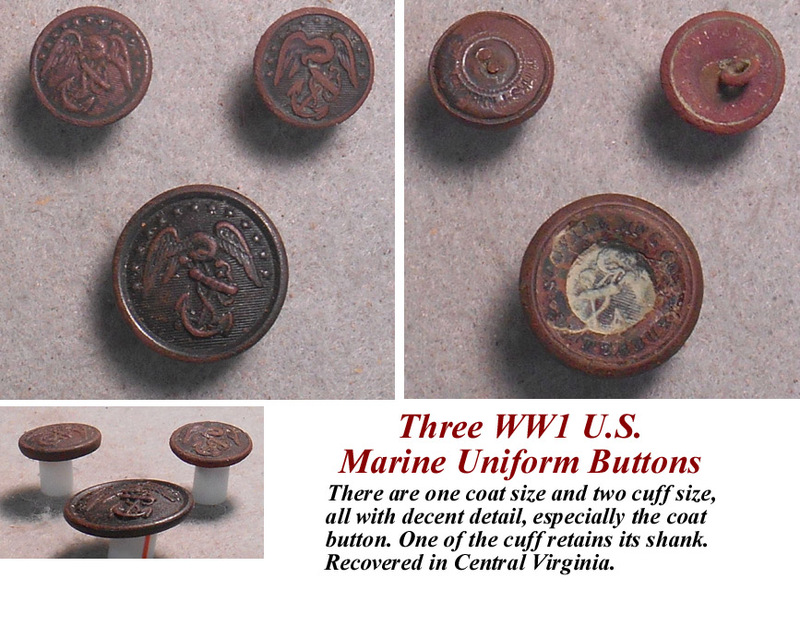 Three WW1 U.S. Marine Uniform Buttons. 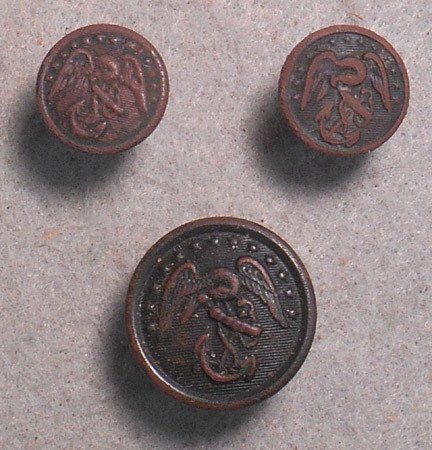 There are one coat size and two cuff size, all with decent detail, especially the coat button. One of the cuff retains its shank. Recovered in Central Virginia. 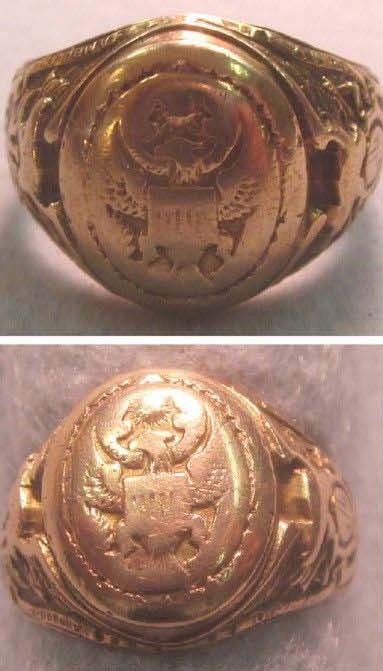 Extremely Rare 10k gold ring WWI U.S. Army hand engraved. Dandy Ambulance Corps 11-19-17 and Tank Corps 6-3-18. This size 8-1/2 ring shows quite a bit of wear and was obviously worn for many years. 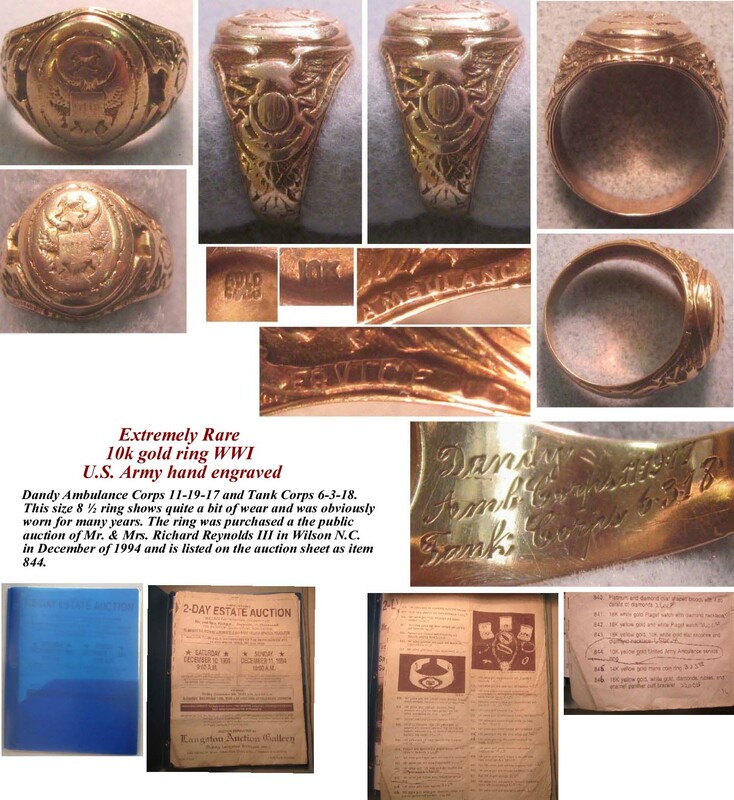 The ring was purchased a the public auction of Mr. & Mrs. Richard Reynolds III in Wilson N.C. in December of 1994 and is listed on the auction sheet as item 844. 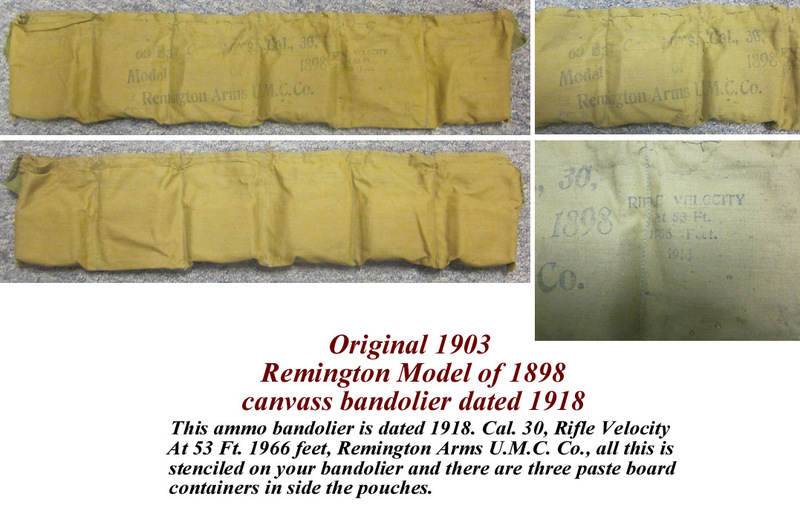 Original 1903 Remington Model of 1898 canvass bandolier (Remington Arms U.M.C. Co. dated 1918). 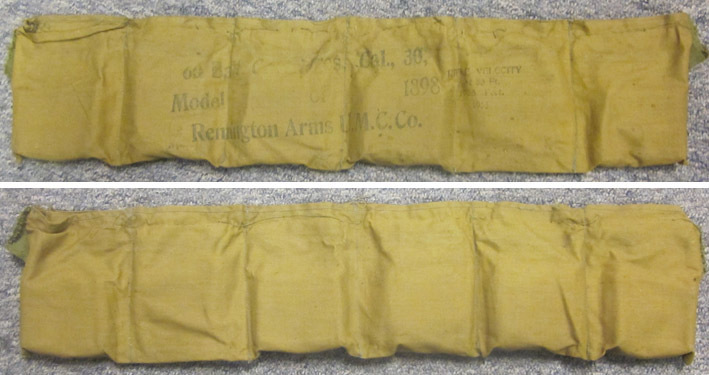 This ammo bandolier is dated 1918. Cal. 30, Rifle Velocity At 53 Ft. 1966 feet, Remington Arms U.M.C. Co., all this is stenciled on your bandolier and there are three paste board containers in side the pouches. 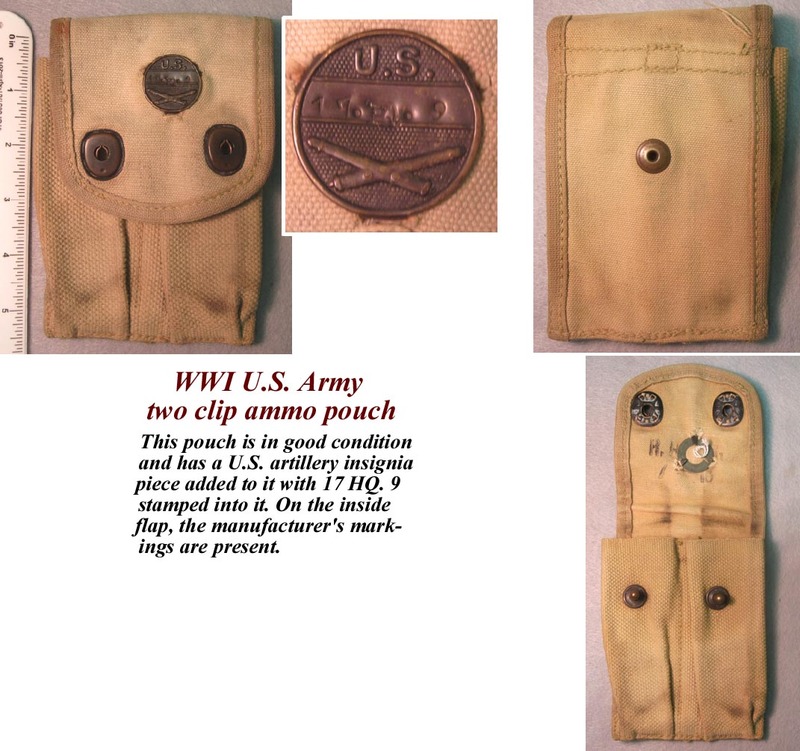 WWI U.S. Army two clip ammo pouch. This pouch is in good condition and has a U.S. artillery insignia piece added to it with 17 HQ. 9 stamped into it. On the inside flap, the manufacturer's markings are present. is intact, as shown in the picture. 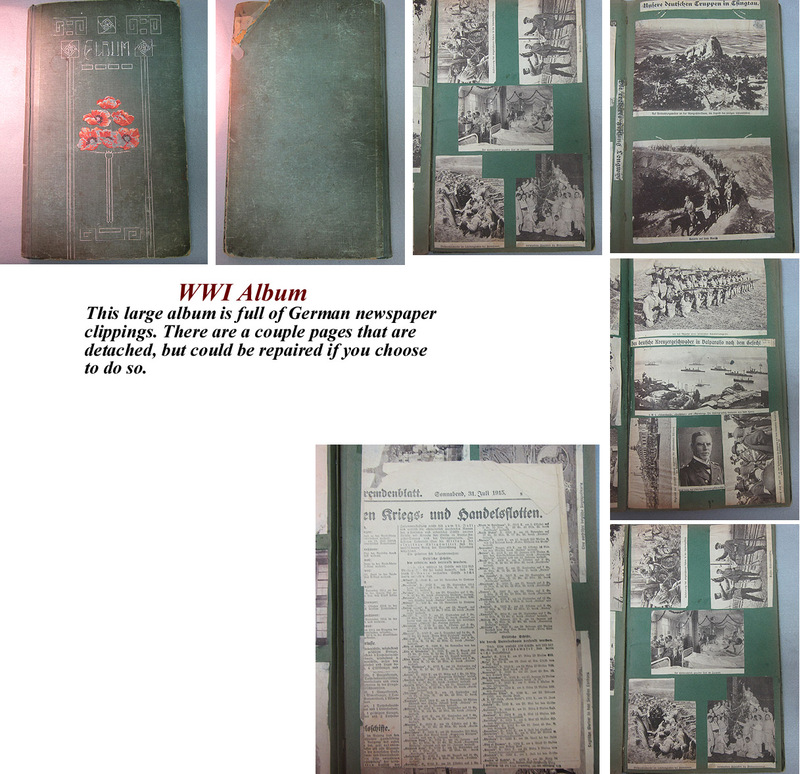 This large album is full of German newspaper clippings. be repaired if you choose to do so. 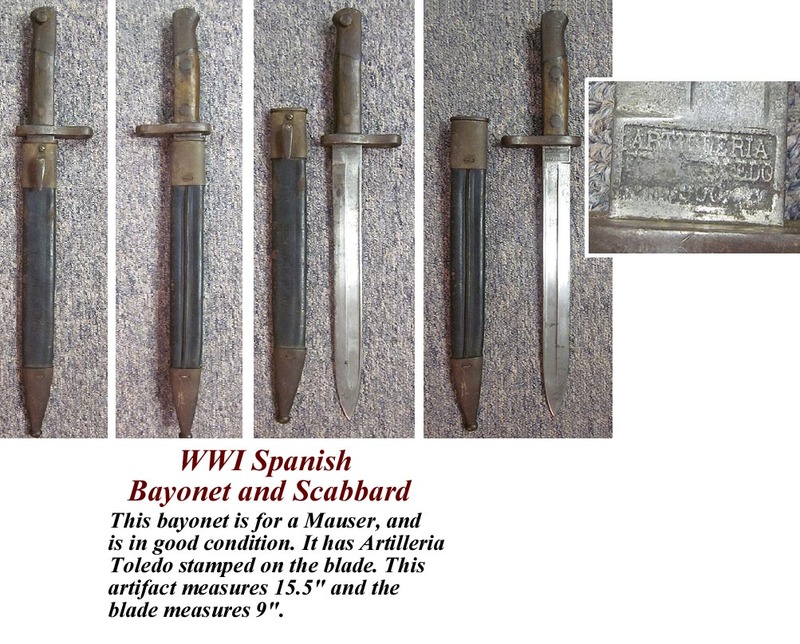 WWI Spanish Bayonet and Scabbard. 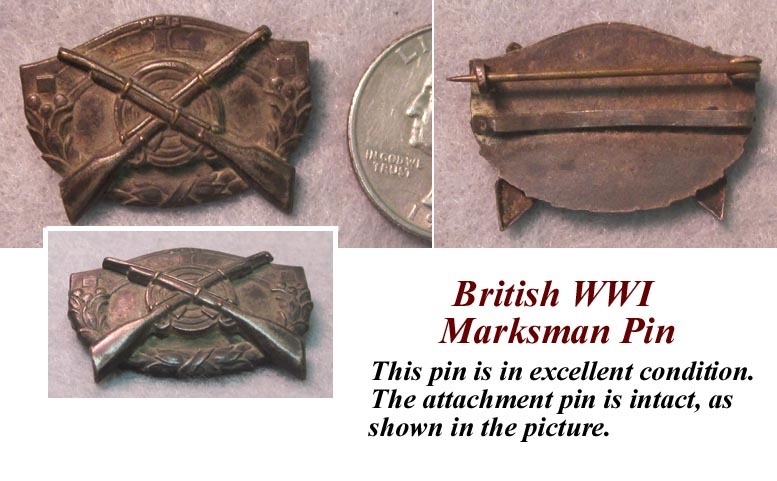 This bayonet is for a Mauser, and is in good condition. measures 15.5" and the blade measures 9".